In this interview, Alex Cooper from Sutter Instrument discusses how spectral imaging technologies can be used in a wide range of microscopy applications. Can you give me a brief overview of spectral imaging, how and why it works? 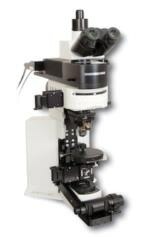 Spectral imaging encompasses two types of light control when using a microscope. Conventional microscopes use fluorescence excitation and emission filters, matched to fluorescent probes, in order to visualize specific organelles or processes within cells. While a standard excitation or emission filter provides a single data point on the emission spectra, the remaining behavior of light in the spectral domain is lost. Spectral imaging may refer to either the control over excitation light wavelength, or the capture of emission light wavelengths. Using either excitation or emission control, spectral imaging provides the opportunity to measure a range of points across the spectrum of light used for a given fluorescent or opaque sample. This results in a more detailed characterization of the specimen. In the example graphic below, the spectrum at top indicates what light may be either excited or emitted using a microscope. The two windows below the total spectrum indicate what a typical excitation and emission filter combination would produce. The bottom spectral plot is an example of using the VF-5 for excitation, and another for emission. In such a configuration, excitation may be stepped and emission may also be stepped, producing far greater volumes of data pertaining to the behavior of the specimen over spectra. What types of spectral imaging are there and what differentiates them? Various hardware systems can be used to obtain spectral data. Most often, the traditional spectrometer may be used, providing a spectral profile from a single line across the image field. An example of the output from a spectrometer can be seen below. Note there is intensity data available, and a single axis (x) of spatial data, but the vertical axis (Y) is lost. Some systems, such as confocal laser scanning microscopes, may employ spectral collection. Other systems include liquid crystal tunable filters, and/or high power light sources used in conjunction with a diffraction grating, in a reverse-spectrometer type system. The most recent advancement in spectral excitation and emission can be found in the use of tunable thin-film filters. These filters provide a variable spectral cutoff, which shifts as the filter orientation is adjusted to an angle other than normal to the incident lightpath. An example of the operation of angle-dependent filters can be seen below. Note that using a single filter, specification can be made for one edge at a given wavelength. This would approximate the behavior of a single dichroic filter, with the added capability of adjusting the edge position over angle. Capture of a window is obtained by using two versa chrome filters in a single system. With this combination, both a start and stop wavelength can be specified. This results in a tune-able “window”, as well as the ability to set window width. No other system provides this level of control in a field-capture device. What are the biomedical applications that spectral imaging offers? Numerous studies can benefit from spectral imaging. Autofluorescence of tissues may be far better characterized using spectral capture. The emission profile of fluorochromes may change based on the presence of compounds, or other factors, so better identification, and confirmation, of what’s happening in the spectral domain can be understood through the collection of spectral data. What are the advantages to this technique over other imaging technologies? Major advantages over conventional spectral techniques are light throughput, capture speed, and versatility. The VF-5 or VF-1 provides control over spectral selection with <3% transmission loss, can capture of an entire field of view with a specified bandwidth, and can switch positions rapidly. The VF-5 can switch to any available pass band in less than 200msec; however, changing between closer pass bands will occur much faster. A 0° to 60° tilt on a VF-1 or VF-1 Edge system will take 80msec, while a short move can occur in <5msec. With the VF-1 Edge, operators can control the start wavelength and stop wavelength for either excitation or emission. What this results in is a continually variable filter. For instance, one may wish to capture GFP at 510nm to 550nm, then capture again at 515-530, or capture multiple images with a 5nm window, beginning at 510nm, stepping through to 540nm. This level of versatility isn’t available via competing technologies. What are the limitations compared to other imaging techniques? Rotating a filter, or set of filters, with a required level of precision and at high speed, requires care in the design of control electronics and mechanical drive systems, as well as inertial consideration. By comparison, a line spectrometer is able to collect all of the spectral output in a single capture, and an LCTF can quickly switch to a specific wavelength. 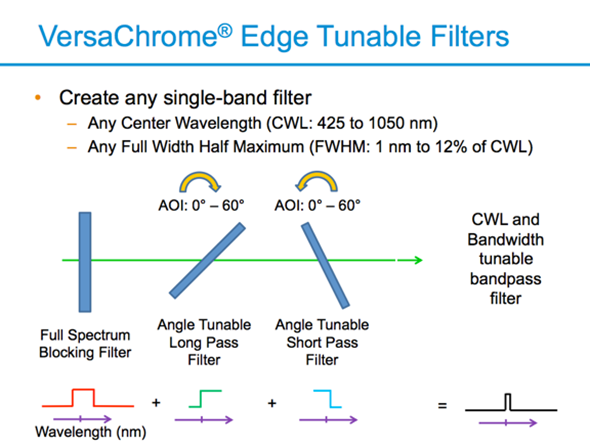 What improvements have there been with the introduction of tunable thin-film filters? What limitations have they overcome in comparison to previously “fixed” filters? Tunable filters are more of a new evolution in spectral segmentation, rather than an iterative improvement on conventional filters. This is new territory, and as the technology is further exploited, we will find new areas for it to be used in and improvements on performance. What value do Sutter Instruments offer within the tunable filter changer market? What characteristic features do these solutions offer? Sutter Instrument is one of the only device manufacturers that utilizes Semrock’s Versachrome technology. In collaboration with Semrock we released the VF-1 Edge, along with the Versachrome Edge filter technology. The VF-10, VF-5, VF-1, and VF-1 Edge have creative control methods, including PC controller (USB or serial), several advanced triggered modes, and even a mode that emulates one of our Lambda Filter wheels for easy software integration. 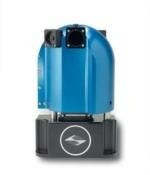 What does the future hold in terms of improvements and new features for your tunable filter changers? Like most technology, the performance of these filters will continue to improve over time. Most likely efficiencies, while already high, will continue to improve, and substrates will reduce in weight, resulting in higher speeds. What new innovations do you foresee for spectral imaging in microscopy? Spectral imaging hasn’t been in the forefront of microscopy due to the historical limitations of capturing spectral data. In the past, the choice was to either saturate a specimen with a large amount of excitation light, in order to capture spectral data, or to capture a single line width of spectrum, losing one exif of XY data in the process. Check out the VF-5 and more at sutter.com! Since beginning her tenure at Sutter Instrument 22 years ago, Alex Cooper has held ever increasing roles of responsibility. 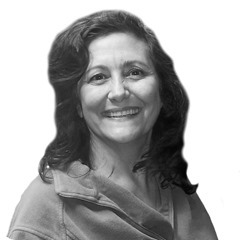 She is currently the Director of Sales and Marketing, overseeing a distribution network of nearly 200 dealers in 38 nations as well as an in-house sales and marketing team. Quality. Precision. Reliability. Sutter Instrument has set the highest possible standards for performance and innovation for more than 40 years. Their engineering team’s extensive expertise in optical system design and motor control as well as a seasoned understanding of customer applications has allowed us to design and build robust and versatile products to serve the tremendous growth in imaging. Product lines include light sources (LED, Xenon and plasma), tunable filter changers that can access from 338 to 800nm in nanometer increments, the MOM 2-photon moveable objective microscope, the SmartShutter®, a full-featured controllable shutter, filter wheels and controllers. Their expertise in electromechanical engineering and stepper-motor control is evident in the sub-micron resolution of our highly stable motorized and mechanical X-Y translators, stages and micromanipulators. Innovations in puller design include sophisticated velocity sensing circuitry to maximize reproducibility, making the laser-based P-2000 the premier NSOM fiber tip puller.